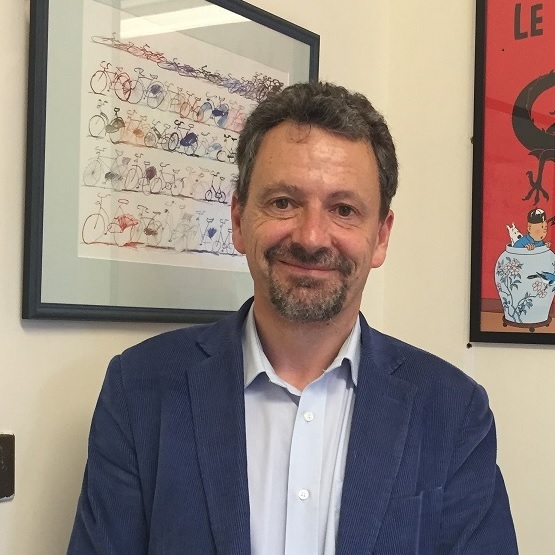 Jonathan Mant is Professor of Primary Care Research and Head of the Primary Care Unit at the University of Cambridge. He leads the Cardiovascular Research Group. He represents Cambridge in the National School for Primary Care Research. 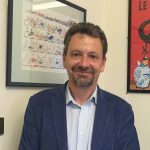 He trained as a public health physician in the Oxford Region, and from 1992-97 was clinical lecturer in public health medicine at the University of Oxford. From 1997-2008 he was based in the Department of Primary Care & General Practice at the University of Birmingham, moving to Cambridge in October 2008. He was associate director of the Stroke Research Network with responsibility for primary and community care from 2005-2015, and has chaired several NICE guideline development groups, including most recently for acute heart failure. He is a Fellow of the Academy of Medical Sciences, an NIHR Senior Investigator, and chairs NIHR sub-panels for Programme Grants for Applied Research. Jonathan’s current research focuses on stroke prevention and treatment in primary care settings. He is chief investigator on two programme grants funded by NIHR on developing primary care stroke services, and screening for atrial fibrillation to prevent stroke. He is a co-investigator on further programmes on optimising blood pressure control through self monitoring and management and through supporting medication adherence. Listen to Jonathan discuss his research on this Naked Scientists podcast, titled ‘How home blood pressure testing could reduce strokes’, recorded in 2018. Pindus DM, Mullis R, Lim L, Wellwood I, Rundell AV, Abd Aziz NA, Mant J. Stroke survivors’ and informal caregivers’ experiences of primary care and community healthcare services – A systematic review and meta-ethnography. PLoS One 13(2):e0192533 2018. McManus RJ, Mant J. Hypertension: New US blood-pressure guidelines – who asked the patients? Nat Rev Cardiol. 2018 Mar;15(3):137-138. Malhotra, M; Nguyen, HA; Benavente, O; Mete, M; Howard, BV; Mant, J; et al. Association Between More Intensive vs Less Intensive Blood Pressure Lowering and Risk of Mortality in Chronic Kidney Disease Stages 3 to 5. A Systematic Review and Meta-analysis. JAMA Intern Med. 2017;177(10):1498-1505. doi:10.1001/jamainternmed.2017.4377 Published online September 5, 2017. Jowett S, Barton P, Roalfe A, Fletcher K, Hobbs FDR, McManus RJ, Mant J. Cost-effectiveness analysis of use of a polypill versus usual care or best practice for primary prevention in people at high risk of cardiovascular disease. PLoS One. 2017 Sep 5;12(9):e0182625. Tucker KL, Sheppard JP, Stevens R, Bosworth HB, Bove A, Bray EP, Earle K, George J, Godwin M, Green BB, Hebert P, Hobbs FDR, Kantola I, Kerry SM, Leiva A, Magid DJ, Mant J, Margolis KL, McKinstry B, McLaughlin MA, Omboni S, Ogedegbe O, Parati G, Qamar N, Tabaei BP, Varis J, Verberk WJ, Wakefield BJ, McManus RJ (2017) Self-monitoring of blood pressure in hypertension: A systematic review and individual patient data meta-analysis. PLoS Med 14(9): e1002389. Izuka NJ, Alexander MAW, Balasooriya-Smeekens C, Mant J, Simoni AD. How do stroke survivors and their carers use practitioners’ advice on secondary prevention medications? Qualitative study of an online forum. Fam Pract 10 Apr 2017. Xie X, Atkins E, Lv J, Bennett A, Neal B, Ninomiya T, Woodward M, MacMahon S, Turnbull F, Hillis GS, Chalmers J, Mant J, Salam A, Rahimi K, Perkovic V, Rodgers A. Effects of intensive blood pressure lowering on cardiovascular and renal outcomes: updated systematic review and meta-analysis. Lancet. 2015 Nov 7. pii: S0140-6736(15)00805-3. Yerrakalva D, Mullis R, Mant J. The associations of “fatness,” “fitness,” and physical activity with all-cause mortality in older adults: A systematic review. Obesity (Silver Spring) 23(10):1944-1956 Oct 2015. Sackley CM, Walker MF, Burton CR, Watkins CL, Mant J, Roalfe AK, Wheatley K, Sheehan B, Sharp L, Stant KE, et al. An occupational therapy intervention for residents with stroke related disabilities in UK care homes (OTCH): cluster randomised controlled trial. BMJ 350:h468 2015. Roberts E, Ludman AJ, Dworzynski K, Al-Mohammad A, Cowie MR, McMurray JJ, Mant J, NICE Guideline Development Group for Acute Heart Failure. The diagnostic accuracy of the natriuretic peptides in heart failure: systematic review and diagnostic meta-analysis in the acute care setting. BMJ 350:h910 2015. McManus RJ, Mant J, Haque MS, Bray EP, Bryan S, Greenfield SM, Jones MI, Jowett S, Little P, Penaloza C, Schwartz C, Shackleford H, Shovelton C, Williams B, Varghese J, Hobbs FDR. Effect of self-monitoring and medication self-titration on systolic blood pressure in hypertensive patients at high risk of cardiovascular disease: The TASMIN-SR randomized clinical trial JAMA 2014; 312:799-808.